Goodnight Mister Tom Installation Project! Theatre Royal Bury St Edmunds is seeking stories of evacuees to celebrate and share as part of an installation project to coincide with the new production of Goodnight Mister Tom this summer. The installation project, which will run alongside performances of the show, aims to celebrate and share stories from real life evacuees in the local area, highlighting their experiences and providing fascinating insights for a new generation. The stories will be presented in the theatre’s waiting areas via headsets for people to listen to actors re-telling the stories in the participant’s words and they will also be shared via our website and social media platforms. We are therefore looking to speak to anyone who was an evacuee during the Second World War themselves, as well as children or friends of evacuees that have a story to tell. We’d like to hear about what it was like in and around the area at that time. If you would be interested in contributing to this project please get in contact with Aaron, either by email, by post: Theatre Royal, Westgate Street, Bury St Edmunds, IP33 1QR or by calling 01284 829931. 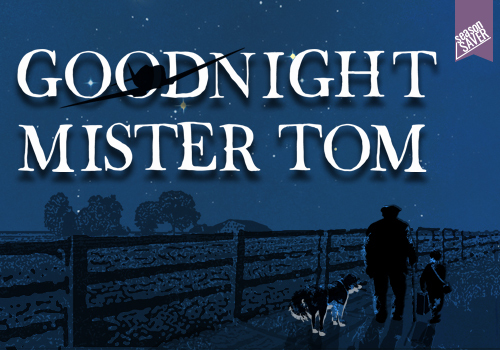 Goodnight Mister Tom is set just after the Second World War has broken out and the life of Tom Oakley, an old man in the country, is about to change for the better. Having lived alone for 40 years he reluctantly takes under his wing ten-year-old William, an evacuee from London. As William begins to soften Tom’s seemingly hardened exterior, an unspoken and unbreakable bond is formed. The performance and exhibition will run from Thu 24 Aug – Sat 8 Sep. To book tickets, go to the Goodnight Mister Tom show page or call 01284 769505.